If you have been following my blog recently, you may have seen that I am on a mission to shift some weight. After being diagnosed with PCOS, a hormone imbalance, and a thyroid issue, and letting my health slip generally, I decided something has got to give. So I have been following a weight loss plan to shift some weight, as well as stepping up my exercise routine. I had been going to the gym for a while, but in all honestly, the gym I was going to was so lame. No atmosphere. Boring machines. And mostly full of teeny-boppers. With my husband’s working hours and his commute, I could rarely make classes, and they were always full if I could get there with an hours notice. So I decided now that it is summer, I was going to get back into running. I have been running on and off for quite a while. I did a half-marathon back in 2011 when I was a couple of months pregnant with my eldest. I then got back into it a bit after he was born, and did the same on and off since my youngest was born. One of the things that I want to get back into is going to parkrun at my local one. I was going quite regularly at one point and it was a great way to start the weekend. My PB at my local parkrun (quite a hilly one), was 30:11, so I’d love to get back to that, or even exceed it! You need the right gear to get out running, though, right? 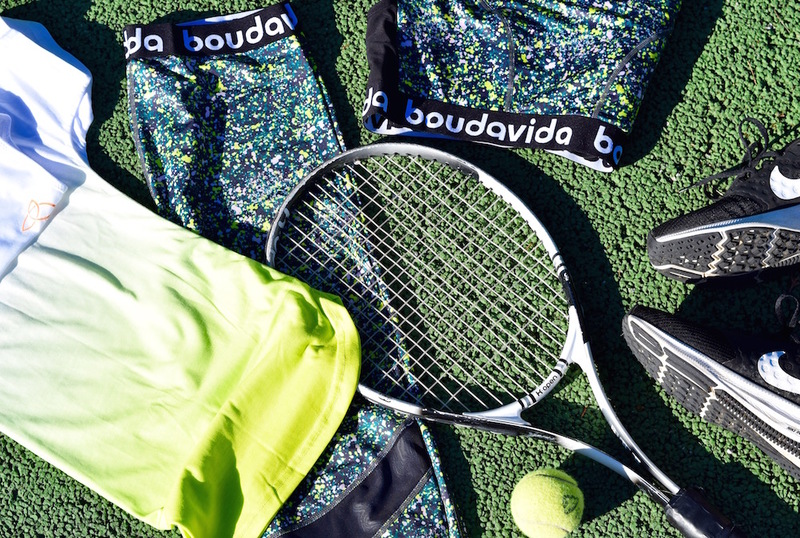 I have some gorge new kit from a new activewear site called Boudavida. There are several styles to choose from and they are really different to what you might normally see in sportswear stores. 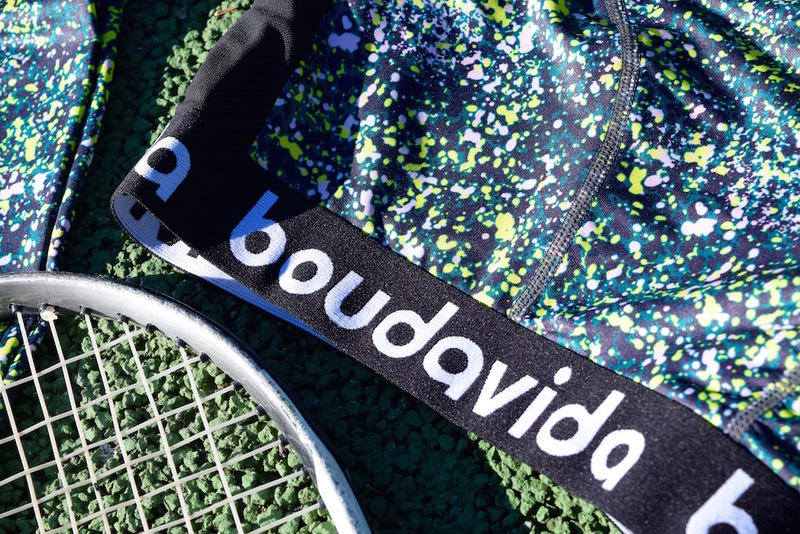 One of the main selling points with Boudavida, over a sports brand or one like Sweaty Betty, is that it is a brand looking to make a difference and support women’s sport, by donating 5% of all sales to causes that support female athletes, projects, charities and campaigns. So when you buy the clothes from Boudavida, you are doing good at the same time. The sports bra is more of a low impact sports bra, so I tend to wear a running one for running, but when I do my yoga (I use an app at home), it is the perfect bra for it. I love the unique design of it too. It fits well and is really good quality. The trousers are some of the most comfortable I have worn. They are a high-waist fit, which is not only super comfortable and flattering, but so on trend in the activewear department, don’t you know. They have some mesh panels to break up the design and I love how they fit. The other item I have is a tee to wear over the bra. 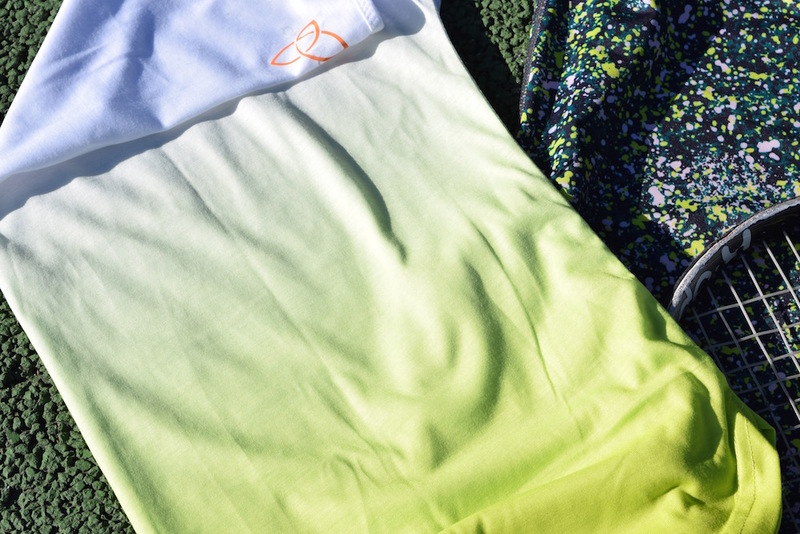 I like to have a loose tee over when I exercise, and these are a really nice loose fit. The style is really different too, with the ombre fade. It is a soft material and really good quality. 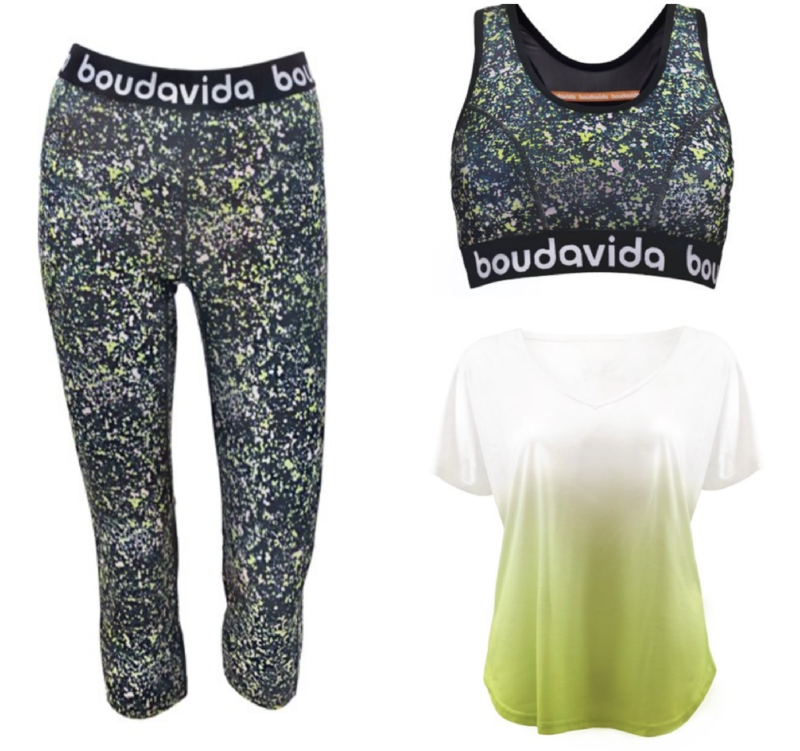 If you are in the market for some new activewear, then I would recommend Boudavida, for sure. 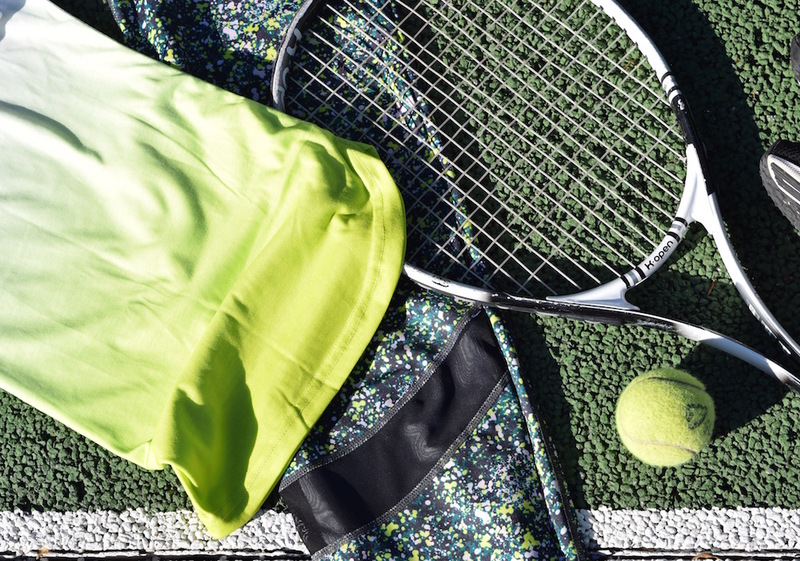 The price point is competitive, and I think the quality is pretty comparable to other sports brands I’ve used like Victoria’s Secret Sport and Sweaty Betty. Have you heard of Boudavida before? I have been loving this for my working out of late. Would love to hear what you think! *the items wre gifted in exchange for this post. All opinions are my own. Having comfortable gear that makes you feel good does encourage oneself to be motivated to carry on an activity. I really love this outfit. The pattern is gorgeous and I love that the leggings are a mid-length crop. Such a good style on me too. Having the right running outfit can give you confidence in the park and at the gym I think. 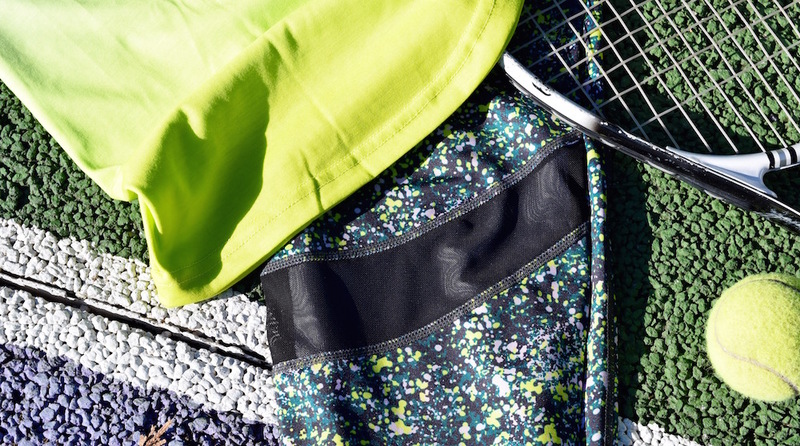 That active wear is lovley, that’s the first step (as it where!) to get going.